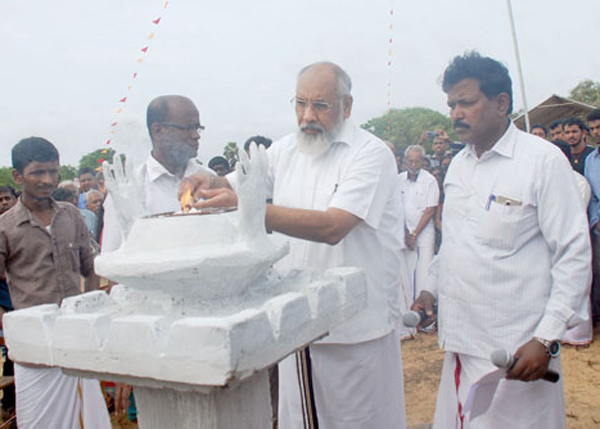 Northern Province Chief Minister C.V. Vigneswaran and several other stalwarts of the Tamil National Alliance lit lamps at Vellamullivaikkal in Mullaitivu, in memory of those who died during the final phase of war. The commemorative event was held at the place where the final stage of the battle took place. Several TNA stalwarts including Mavai Senathirajah, Suresh Premachandran and D. Siddharthan took part in the ceremony. In addition, family members of LTTE cadres who died during the final phase of war were also present at the event.Meanwhile, several Tamil websites alleged that those who took part in the event were “watched” by the CID and intelligence wing members.